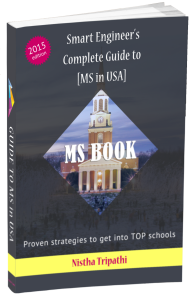 How to explore research options from MS? Do you have to decide about PhD right away? What matters when choosing a PhD program to apply to? How to contact Professors if you are applying for a PhD position? As a bonus, Asha talks about how she has successfully been contacting targeted Professors in her area. She gracefully shares the email that she used herself to get responses. My name is Asha Shibu and I’m an Energy graduate from Texas A&M University, currently working as Research Assistant at Oak Ridge National Lab. I’m writing to express my interest in your research on Energy efficient buildings at University of Massachusetts-Amherst. My master’s coursework provided me with an interdisciplinary understanding of multiple aspects of the field, ranging from an overview of energy technologies; to multi-scale energy systems engineering methods; to energy economics, law, security, policy, and societal impact. During my coursework, I also worked at the Industrial Assessment Center (IAC) at Texas A&M University, a Department of Energy (DOE) funded program. In this position, I was trained to assess manufacturing plants and to identify measures that would save energy, reduce waste, enhance productivity, and reduce operating costs. As an Energy Engineer at IAC, I conducted ASHRAE Level I-II energy audits that resulted in $730,000 in recommended savings to date, and I developed practical skills in thermal systems, electrical power systems, building envelopes, HVAC, combustion systems, and lighting. The training I received at the IAC, along with courses such as “Energy Efficiency in Buildings,” sparked my interest in energy efficiency and sustainable energy resources utilized in commercial and residential buildings, and my desire to be involved in the field’s ongoing research led me to work for the Oak Ridge National Lab after graduation. As a researcher, I realize the importance of collaborating with others in the field, and at the same time, of an ability to work independently. Currently, I’m working on two DOE projects, and my interaction with the Energy Efficiency Research and Analysis Group at ORNL has sharpened my appetite for further knowledge in Building Technologies field and this is one area I could see myself exploring further in research as a graduate student. I will be applying to Ph.D. program in Building Systems offered by University of Massachusetts-Amherst and would very much like the opportunity to join your group. Will you be accepting applications for new graduate students for entry in Fall 2018? Thank you very much for your time. I hope we have the chance to speak about research in the near future. For more info on how to contact Professors, please check out MS Book. So, without further ado, here is the interview with Asha Shibu. We are now open for Spring/Fall 2019 admission cycle. Check out our counseling packages to see how we can help you.